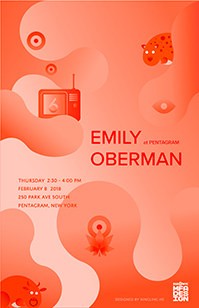 Today the MFADers visit Pentagram NYC’s new office on Park Ave South to spend time with partner Emily Oberman. Emily worked at M&Co before co-founding Number Seventeen in 1993 with Bonnie Siegler. 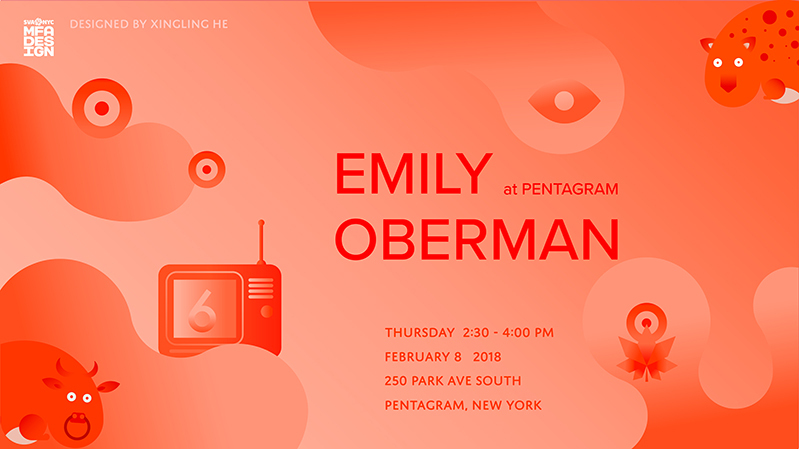 She joined Pentagram’s New York office as partner in 2012.Today she is a multidisciplinary designer whose work encompasses brand identity, motion graphics, publications, packaging, advertising, and websites. Oberman’s work is unique in that it blurs the line between promotion and design—often using language and humor to make an emotional connection. Her clients include film and television, hotels and restaurants, real estate developments, cultural institutions and nonprofit organizations.